Hemingway was raised in Oak Park, Illinois, and after high school he reported for a few months for The Kansas City Star, before leaving for the Italian front to enlist with the World War I ambulance drivers. In 1918, he was seriously wounded and returned home. His wartime experiences formed the basis for his novel A Farewell to Arms. In 1922, he married Hadley Richardson, the first of his four wives. The couple moved to Paris, where he worked as a foreign correspondent, and fell under the influence of the modernist writers and artists of the 1920s "Lost Generation" expatriate community. The Sun Also Rises, Hemingway's first novel, was published in 1926. 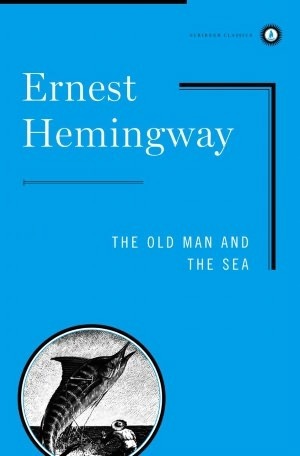 Shortly after the publication of The Old Man and the Sea in 1952, Hemingway went on safari to Africa, where he was almost killed in two plane crashes that left him in pain and ill-health for much of the rest of his life. Hemingway had permanent residences in Key West, Florida, and Cuba during the 1930s and 1940s, but in 1959 he moved from Cuba to Ketchum, Idaho, where he committed suicide in the summer of 1961.